As I was crossing westward on Main Street in Great Barrington, Mass., toward's Rubiner's Cheesemongers, already about halfway to the median, this car heading north drove right past me through the crosswalk. Were you nearly run over by a car today while crossing Main Street in a crosswalk? Post the offender's license plate here by clicking the COMMENT button. Downtown great barrington (and any other downtown, for that matter) is full of people. actual human beings. you could KILL someone with your car -- think about it. SLOW DOWN. Don't (like selectman Margaret Beckwith) act all shocked that "suddenly" people "dart out" into crosswalks in front of you. I've never seen anyone RUN into a crosswalk downtown. They WALK. 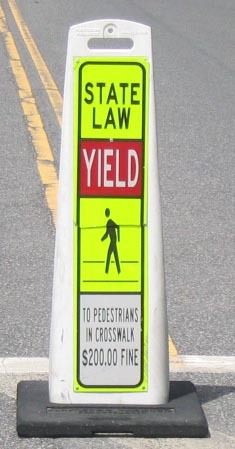 The drivers are supposed to be WATCHING for pedestrians who enter the crosswalk, and be prepared to STOP when they see them. Period. If you're going so fast that you can't stop for someone in a crosswalk right in front of you, then YOU'RE GOING TOO FAST!!!! 1)people driving through downtown need to be on the look out for pedestrians,some will be in the crosswalks others will be crossing mid-block (just don't get the paint scheme somehow). 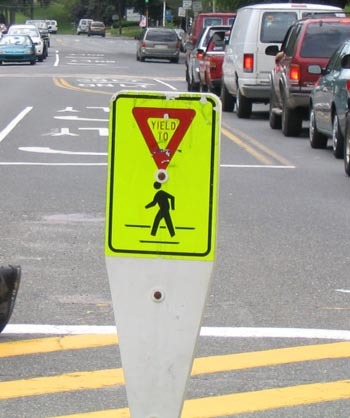 2)pedestrians crossing the street need to execise reasonable caution crossing the street. I won't cross without making eye contact with a driver unless they have conme to a stop. sometimes it actually takes me an extra 3 or 4 seconds to cross the street but it hasn't killed me yet. Hmmm. How is it that Sheffield has nice legible signs, like this one? And all that GB can come up with are these old things? 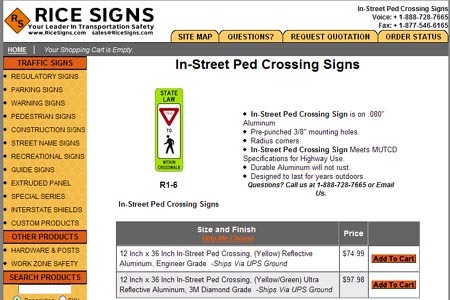 AND, just a bit of Google-ing reveals these two interesting facts...nice legible signs are cheap (REAL cheap compared to a human life)..like maybe $75 a pop for nice new ones. Those beatup, bent, unreadable GB signs sure look closer to 12 inches than 30, much less 36 inches, don't they??? You go measure them, I am still shaking from taking these damn pictures this afternoon!! Want more to get outraged about? Try a gander at the General Laws of Massachusetts Chapter 85: Section 2. 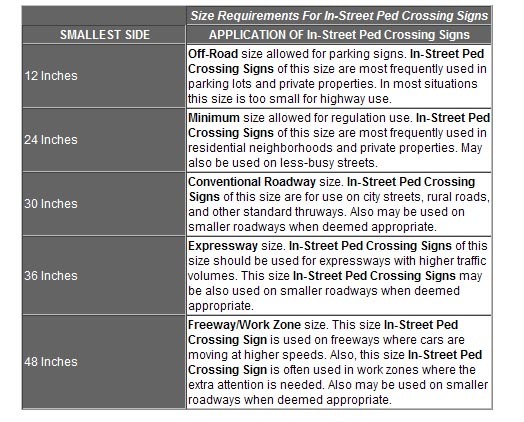 Traffic signs or devices; erection and maintenance; rules and regulations and in particular, what they say about noncompliance. Just mentioning this in passing, dear friends...Cross with caution, and vote with caution as well. I will defer from an ad hominem attack upon GB's elected officials despite their repeated abrogation of fiduciary duty...for now. But, it sure seems to me there is one king hell of a law suit gonna hit the fan some day. Approximately 1:30 p.m., my wife and I were nearly run over by a woman speeding north on Main Street in a Green Ford Focus, Mass lic no. 72JJ70. We were already in the crosswalk by the former Cheesecake Charlie's on our way to the other side of the street when she just sped right by and practically took my right leg off. I immediately called 911 and got connected to a dispatcher at the Great Barrington Police Department, who asked if the woman actually hit me. Once I told him that she didn't, he didn't seem interested in following up with her, nor did he ask for my name and number.